Super Refrigeration (India) Pvt. Ltd. is highly proclaimed in manufacturing, supplying and exporting an extensive array of refrigeration equipment such as refrigeration compressor spares, industrial refrigeration compressors, industrial air coolers, ammonia refrigeration compressors and many more. "SUPER" brand valves which is a single step solution for the refrigeration industry. But today we have evolved into a well-known group, manufacturing a range of industrial valves and "COLT" series refrigeration compressor and other refrigeration equipment. GLOBE VALVES / ANGLE VALVES are available in flanged and screwed types and in sizes from, 1/4" to 12". 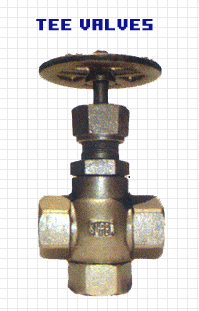 Globe Valve permits the flow in the same direction whereas Angle Valve Changes the flow of direction from horizontal to vertical and vice versa. The use of elbows & bends is thus eliminated.